Hair loss affects millions of people worldwide. There are many myths surrounding the causes of hair loss. As a leading hair transplant surgeon and founder of Dr. Shapiro’s Hair Institute I will separate fact from fiction. As we address these questions can you determine which is fact and which is myth? Myth #1 – “wearing a hat too much will cause my hair to fall out”. MYTH – most people wear hats to cover thinning or balding areas or simply because they are not happy with their hair but wearing one will not cause pre-mature hair loss. Myth #2- “shampooing every day will cause hair loss”. MYTH – although daily shampooing will not cause hair loss it is best to match your shampoo with your hair needs. For people with seborrhea a tar shampoo will work best. Dry hair should have a moisturizing shampoo while oily hair should not. Some shampoos such as Nioxin and Help Hair will aid you in sustaining the hair that you currently have. Myth #3 – “wearing braids can cause you to lose hair” – FACT – depending on how tight the braids are woven, how long they are left in and the care used in removing the braids, hair loss can occur, this is called Traction Alopecia. Myth #4 – “relaxers, bleaches and colors will make your hair fall out”. FACT & MYTH – when using chemicals on the hair you need to be very careful not to over process the hair. Otherwise temporary to permanent hair loss can occur. Be sure you use quality products and have a professional hairdresser apply them. When chemicals are used properly and sparingly your hair can remain healthy. Myth #5 – “pregnancy, pre-menopause and post menopause can make your hair thin”. FACT – most women experience some level of hair loss in these situations. Vitamins and a healthy diet can aid in counteracting these hormonal changes. Myth #6 – “my hair loss is hereditary”. FACT – hair loss can be hereditary and can come from either side of the family. However, the degree of hair loss will vary within each member of the family. The leading cause of hair loss is a chemical called DHT that is produced in the bloodstream and attacks weak hair follicles and causes pre-mature hair loss. This type of hair loss is called male pattern baldness and can occur in men and women. In my practice of hair transplant Boca and hair transplant Miami, I have treated thousands of patients with many causes of hair loss. The only permanent, affordable treatment for these conditions is a surgical hair transplant that is performed by a highly qualified, experienced surgeon. During this procedure a strip is removed from the back of the head and cut into smaller units and transplanted into recipient sites in the top of the head. Within 3-6 months you will begin to grow your new, completely natural hair that will never fall out again. 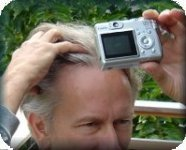 This entry was posted in General, Hair Health, Hair Loss on May 5, 2009 by Larry Shapiro.